After a long offseason anticipating the nickel defense, Syracuse will line up in its traditional 4-3 on Friday. Junior Andrew Armstrong will join Kielan Whitner and Ryan Guthrie as SU’s starting linebackers. The reason for this is simple: WMU loves to run the football. Given that, the move isn’t too surprising. Expect Syracuse to line up in its 4-2-5 defense next week against Wagner to prepare for Florida State the following week. Cody Conway is staying on the left side of the offensive line, while transfer Koda Martin gets the nod at left tackle. This is how it has been since July, but both players have experience at each position. No surprise: senior quarterback Eric Dungey will be under center for Syracuse’s first offensive snap of 2018. 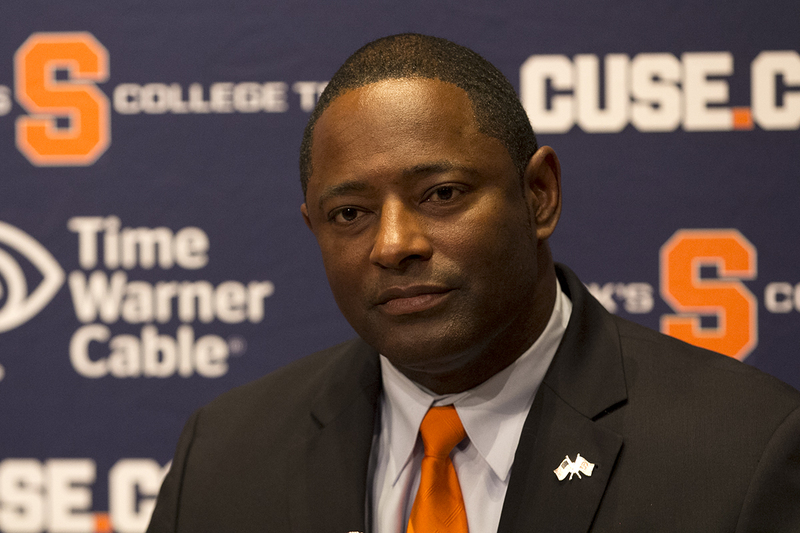 Dino Babers wouldn’t say who his starter was last week, which created minimal speculation. However, the real starter was never in doubt. Devin Butler, Sean Riley and Jamal Custis will line up as SU’s starting receivers. It looks like those three will get the first opportunity to be this year’s breakout receiver. Syracuse has a short week before traveling to Kalamazoo for a matchup with Western Michigan on Friday. Keep it here for updates on the matchup as the week unfolds.